I love interacting with and becoming friends with our patients. I make sure they know what’s going to happen during their visit and encourage them to talk to me if they’re concerned. It’s important that each person knows we care about and are here for them, whatever they need. I provide chairside assistance during orthodontic procedures. I also order our clinical supplies and update our social media, including Facebook, Instagram and Youtube accounts. My husband Perry and I have been married for 17 years. We have two wonderful daughters: Skylar is a softball pitcher and hopes to play in college. Ashtyn plays softball, volleyball, and basketball. I enjoy working at our front desk and getting to socialize with our patients and their parents. It’s fun to watch each patient move through treatment and see the final, beautiful smile. I greet people as they arrive, schedule appointments, and answer our phones. My other duties include preparing our treatment contracts and handling our accounts receivable, too. I’m married with two grown daughters. Now my husband and I have an English Bulldog, Zoey. My husband and I enjoy traveling. I love working with my hands to create a custom appliance for our patients, one that fits and works perfectly! Having an in-house Ortho Lab means our patients receive their retainers in a timely manner and I can always make adjustments during their visit, if necessary. 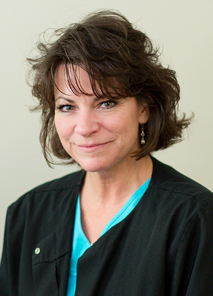 I work with metals, acrylics, and plaster, fabricating metal appliances, fitting brackets and making custom trays to deliver braces to patients, along with maintaining models and making retainers. My husband, son, and daughter, and I, love living in the country. I enjoy kayaking, walking historic towns, Special Olympics, DIY projects, gardening and family time. Ian, our special needs son, is employed with the Kroger Company. Our daughter, Cally, is studying to be a veterinarian. 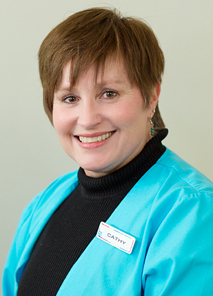 I enjoy working with and helping our patients and their families. Insurance benefits and forms can be difficult for someone to understand. I help patients understand their various orthodontic benefits and how to make the most of them, so they can save money. Then I process our insurance claims on behalf of the patients and parents. 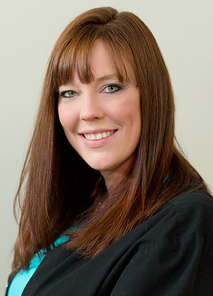 Although I’m new to orthodontics, I’ve been working in the medical field and with patients for five years. My husband Gordon and I have been married for 16 years. I have 2 step-sons Ryan and Eric, and we have one daughter Raeanne, a freshman, who enjoys cheering and gymnastics. We enjoy family campouts and get togethers. We love to spoil our 4 dogs and 5 cats. 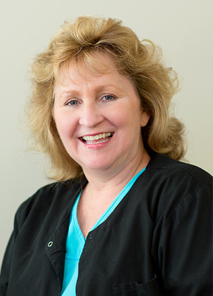 It’s a pleasure to help patients develop healthy and beautiful smiles! I guide patients and their parents through the new patient exam, explaining everything in easy-to-understand terms, and answering their questions. It’s important everyone understands what treatment involves and what to expect, along with their responsibilities. 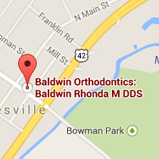 I also take orthodontic impressions, X-rays, and photographs, and provide clinical assistance. My husband Brian and I have been married for more than 20 years. We have two wonderfull children.Emma our daughter is very involved in playing highschool volleyball and our son AJ plays soccer and is a boy scout. They keep us very busy.We love living here in Waynesville.In our free time we like to go hiking and spending time at Kings Island. I like talking with and learning about each patient’s life. They always have interesting stories to tell and we laugh together. It’s fun to become friends while we work together to create their new smile. I sit chairside and assist during treatments, helping the doctor and telling the patient what’s going on. I also sterilize our treatment areas, tools, and equipment, and stock our clinical supplies. I’m excited about being a Grandma, twice, this year! I’m having fun enjoying my new grandson and granddaughter.I'm active in my church and enjoy the associated activities.